The SST-7661 will pay for itself, in convenience alone. 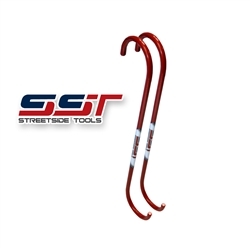 Any time there's brake, wheel bearing, axle shaft, or suspension service to do, these hangers hold the brake calipers out of the way, and at the same time, reduce possible damage to the brake hose. Don't let a broken brake hose ruin your day. Whether you are servicing brakes, axles, wheel bearings or suspension components you will not be let down by our hangers. 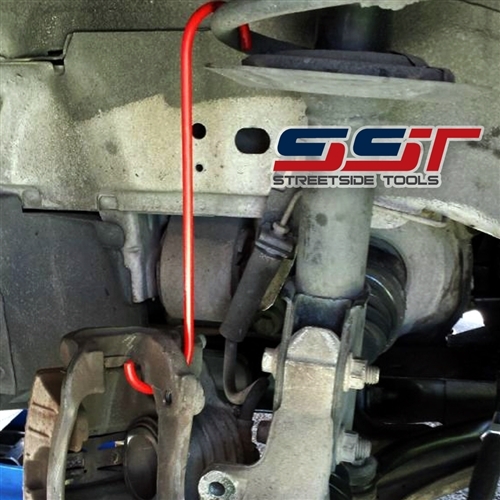 Lose the zip ties and mechanics wire, this dedicated tool will save you time and money. Heavy Duty 1/4" thickness makes for excellent holding ability. 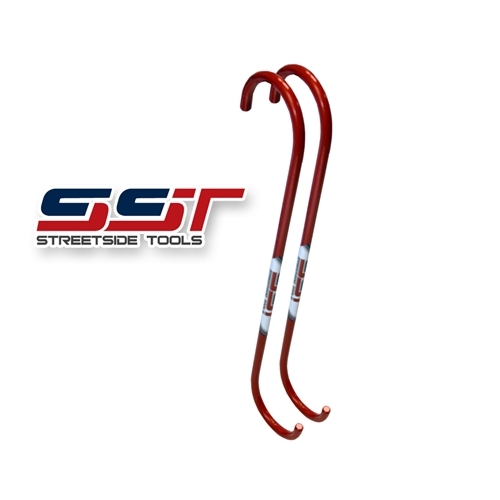 Each set contains two (2) steel hooks that are painted red for visibility and durability! Use of dedicated tool makes repair jobs quicker for added productivity.